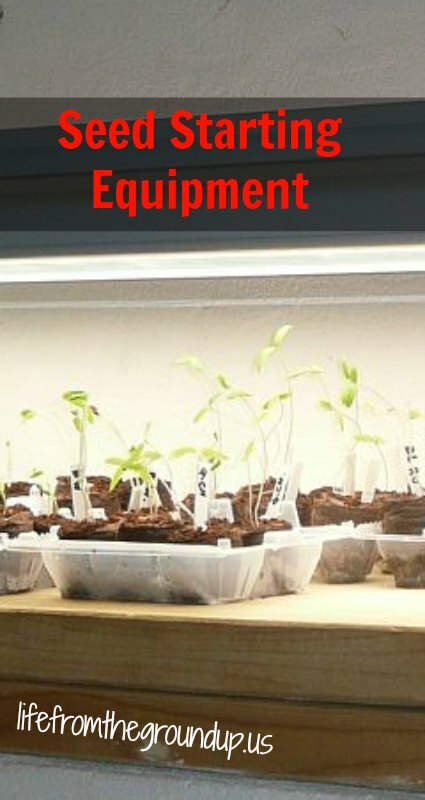 Now that you’ve got the soil mix down and a place to grow, the next step in starting your own plants from seed is coming up with the right seed starting equipment. It doesn’t have to be anything fancy, and really, shouldn’t be, unless you’re doing it as a business, or you just have lots of money that you need to spend. 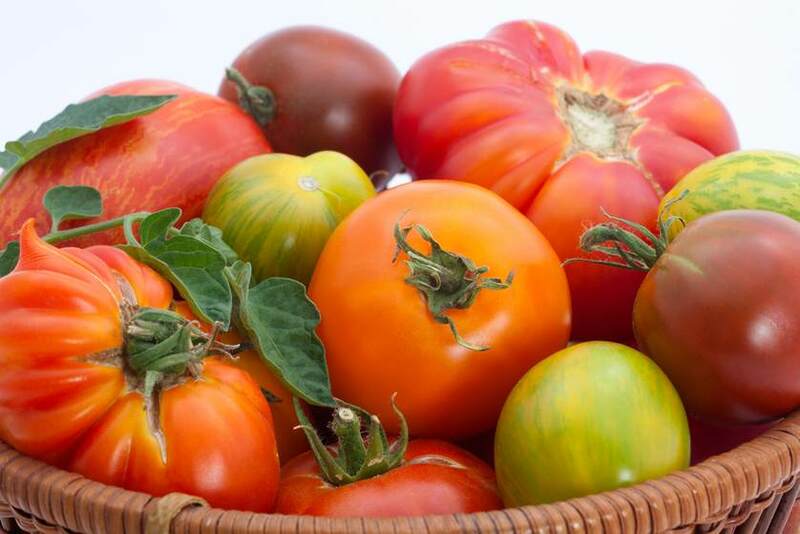 Your seeds need only a few things: light, warmth, and some moisture, light being the most important (I’m going to assume that you won’t forget to water). 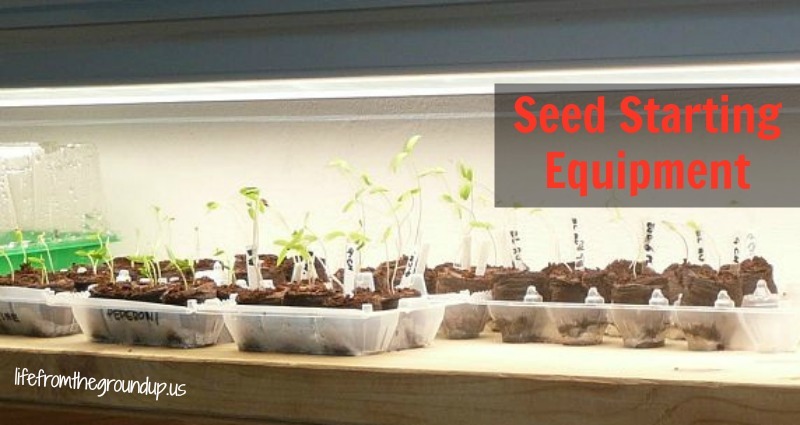 If you’re starting seeds inside, you’re likely in a northern climate, which means you don’t get a whole lot of light during the late winter/early spring months. If you stick your seedlings by a window, you’ll certainly have enough light for them to survive, but the sunlight is pretty weak during this time of year. So to compensate, your plants will try to stretch toward the window in a vain attempt to capture more of that sunlight, which leads to them becoming “leggy” (tall and skinny – not really what you want). To keep them compact and sturdy, your best bet is to give them some strong artificial light. This doesn’t mean you can just pop them in front of an incandescent lamp – the sun’s light is a lot different from incandescent, and you want something that’s a higher temperature (read here for more on color temps), so you’ll want fluorescent. This can be a fancy grow light, or you can do as I did and pick up a cheap shop light and a couple fluorescent bulbs. Whatever you choose, the key is to keep the light close to your plants – within a few inches, ideally. These lights obviously can’t match the sun’s power, so the light source needs to be as close as possible to give the plants the right intensity. Just find something that’ll hold the light’s chain, and hang it over the seed tray. I use a length of unused conduit, so again, whatever you’ve got lying around will work just fine. Keep the light on most of the day – if you can set up a timer to give the plants a few hours of rest, that’s great. If you’re worried you’ll forget to turn the light back on, just leave it on. It’s better to subject the plants to 24-hour light than to leave them in the dark for an extended period of time. The next thing to look at is warmth. The seeds don’t absolutely need this, as they’ll generally sprout regardless, but it makes things happen a lot quicker. I never used to use a heat source, and it would sometimes take up to two weeks for tomato seeds to pop up – now it happens in 4-5 days. You have multiple options with this too. Sometimes I’d leave the trays in a sunny spot during the day; good, but it cools off at night, and the sun isn’t always reliably present during March. I’ve also stuck the trays in a cardboard box with a 40 W incandescent light – the heat generated by the light bulb is enough to warm things up quite a bit. But the easiest route is some kind of heating pad. I’ve heard of some people using old waterbed mattress heating pads, but I don’t have any of those lying around, so I picked up this seed starting mat. It’s big enough to fit a couple trays on at one time, which is all I usually need, and didn’t break the bank. There are some options with timers, temperature controls, and all kinds of bells and whistles, but they cost a lot more, and I was going for cheap and functional. And as far as the heating part goes, you only need to keep the soil warm until the seeds germinate, then they really don’t need the extra heat anymore. And of course, make sure you water. Not a lot, because seedlings are pretty sensitive to extra moisture at this young stage, and if you’re overzealous, they can drown as easily as they die of thirst. One of the most common causes of seedling death is overwatering, which can lead to damping-off disease and a host of other problems. Keep the soil evenly moist, and just damp. If there’s standing water, lay off for a couple days. It shouldn’t be soaking, just as it shouldn’t be bone-dry. If you need more explanation, I’m afraid you should probably find another hobby. As long as you follow these simple rules, your plants should reward you by being strong, healthy, and ready to go (as soon as the weather cooperates)!